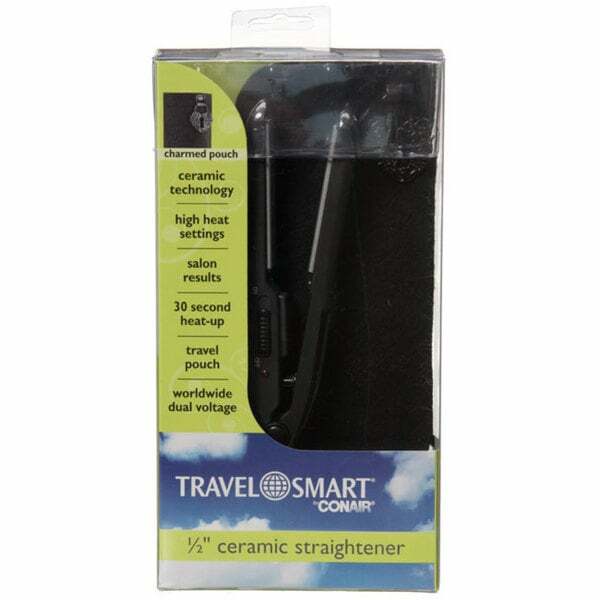 I travel a lot & wanted a straightener that could go with me. I didn’t want to take up unneeded space in my luggage. It’s much smaller than my daily use straightener but does that job. Recommend this product for the jet setter that sill wants a good look!!!! I was looking for a conveniently sized flat iron for touch ups during travel. This one is perfect, it fits very easily in carry on luggage (or even a purse) without the bulk of normal straighteners. It also heats up well. I got this for my trip to Turkey, and it worked very well. It's pretty tiny, so it did take longer (about twice as long as my "normal" iron, but still only a few minutes for my thick, shoulder length hair) and it did pull my hair sometimes, but it heated up quickly and certainly did the trick. I just put an adaptor plug on it and straightened away! The plates of my flat iron did not lay flat against each other when pressed together, leaving a huge gap when trying to style my hair. Hair would just fall through, and trying to return this has been a pain. I’ve contacted them, and gotten a note of “we’ll reach out to you” but I have received nothing. Do not buy from this website. Does not work. Flat iron is good for very thin hair not thick or long. Tools very long time to flat iron sections of hair. Built cheap, not a quality product. Great for travel. Gets really hot and staves off humidity even in the worst conditions. For a woman of color who doesn’t relax her hair this is a very important thing. LOVE IT!! YOU WOULDN'T BELIEVE HOW HOT THIS TINY THING IS!! TINY AND EASY TO USE AND STORE! I HAVE CURLY HAIR BUT THIS LITTLE STRAIGHTER HAS MY "HAWK" BONE STRAIGHT!! !